When it comes to beach wedding men’s linen shirts, it is worth to agree that no fabric beats fine Italian linen, and it is in order to get it straight before going any further. As a matter of fact, men can go all linen, from head to toe and still look amazing and blended in. This applies to everyone whether it is an invitation to a beach wedding or whether you are planning one and are looking for something for your groomsmen. In this post, we focus on mens linen shirts; and if you are going shopping for the first time, you need to focus on a few essential things that will help you make the right picks for you and your team. 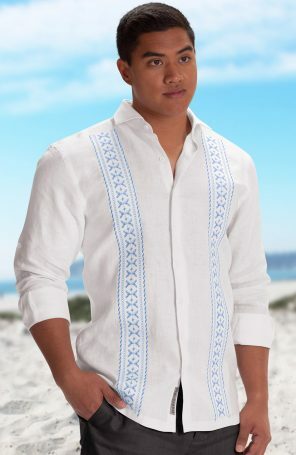 So, how do you ensure that you choose the best beach wedding men’s linen shirts? Measurements should be among the first things to consider when buying any piece of clothing and mens linen shirts are no different. These are primarily the sizes and the type of fit you prefer. If buying for your team, be sure to get their sizes right and agree on the type of fit to go with. It may be necessary to choose a uniform type of fit so that, you know, you look uniform. As mentioned in our previous posts on how men should dress to a beach wedding, color is one of the things you want to get right so that you don’t look out of place. Shouting colors are a no-no, and so are dark ones. Go for khaki, grey or cream linen shirts since they can be well paired with a variety of men’s linen pants. The other thing about color is that you may need to match with the theme of the wedding if you are buying for the groomsmen, which calls for precision when purchasing men’s linen shirts. A reliable tropical linen shirts’ vendor should offer several designs to choose from such as plain, pleated or guayabera linen shirts. Also, there should be an option to either pick short or long sleeved shirts among other alterations. 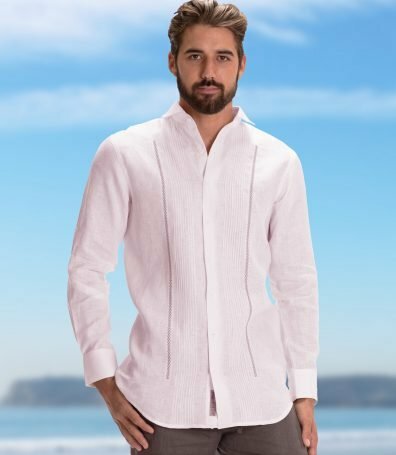 The relevance of the design of the men’s linen shirt goes back to the theme of the wedding and if you choose to go Cuban; then a Cuban linen shirt it is. 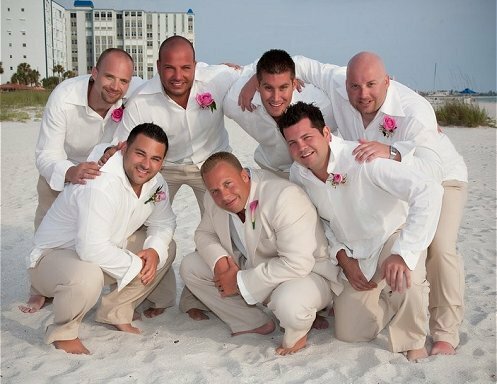 Before placing an order online for beach wedding men’s linen shirts, it is good to ensure that the vendor allows for customization of orders. This includes altering everything about the shirts to make sure that they meet your specification per the theme of the wedding. 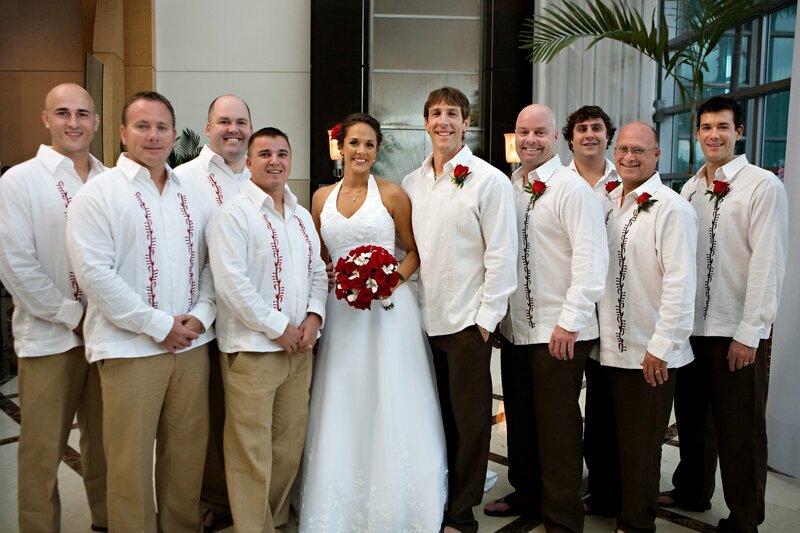 Wedding tropics allows you to customize your order by choosing from a variety of options to ensure that the shirt or shirts delivered are appropriate and in line with your preferences. You don’t want to place your order a week to your wedding, and you could have done it early. The advantage of ensuring that you place your order on time is to allow for alterations if any, and if you choose to personalize your order, you will give the manufacturer ample time to get through with your order. 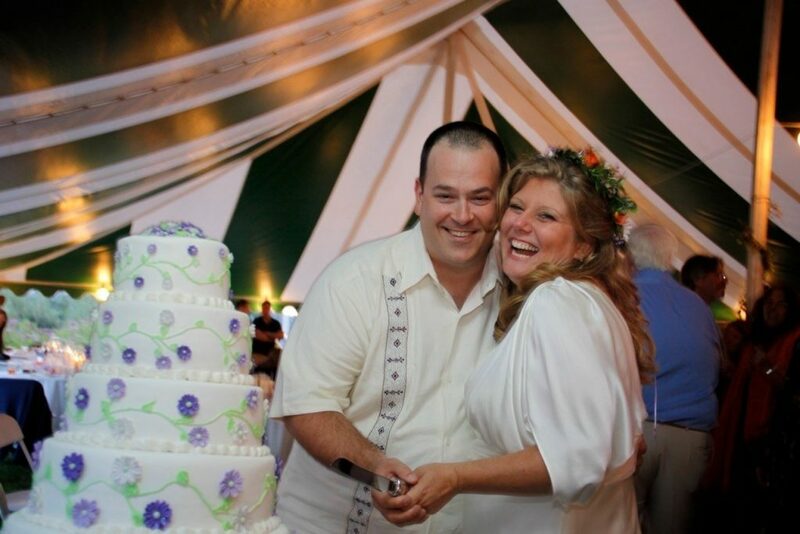 At Wedding Tropics, a customized order takes about 3-4 weeks to be ready for delivery. Go ahead and check out our collection of men’s linen shirts and customize your order using the “Design It” or “Tailored” buttons according to your preference.